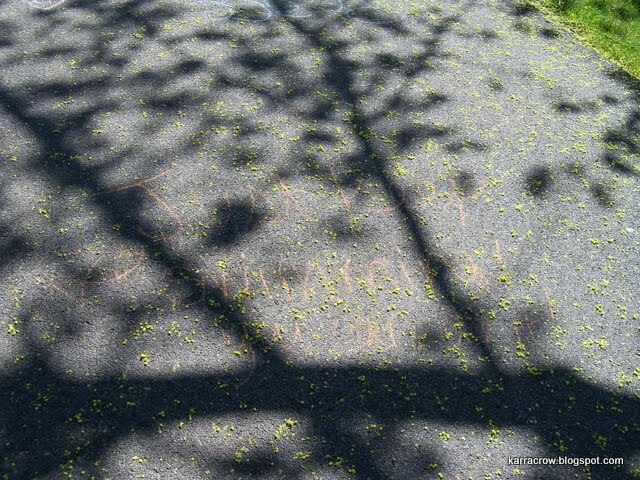 cross-posted from …fly over me, evil angel… where I wrote this post for Hanna this morning. So for some reason, this seems to have been the week from hell for a lot of folks. Here in our household, Hanna has the flu, which is why I’ve volunteered to break radio silence with a photo post so you don’t think she’s been, you know, abducted by Mulder’s alien friends. Or something. Anyway. 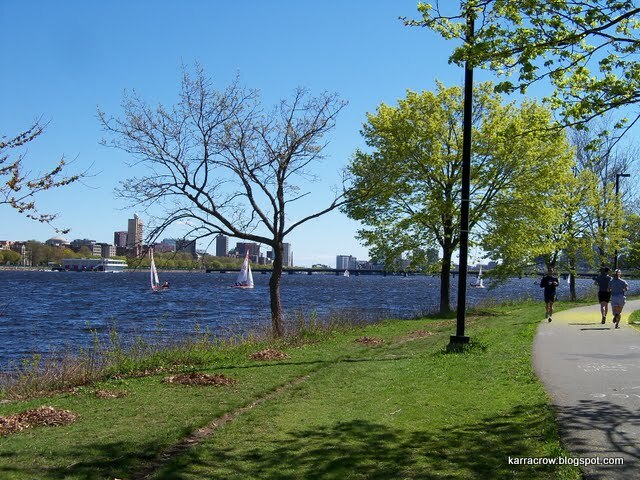 Here are some pictures by Hanna from our walk last weekend along the Charles River Esplanade. 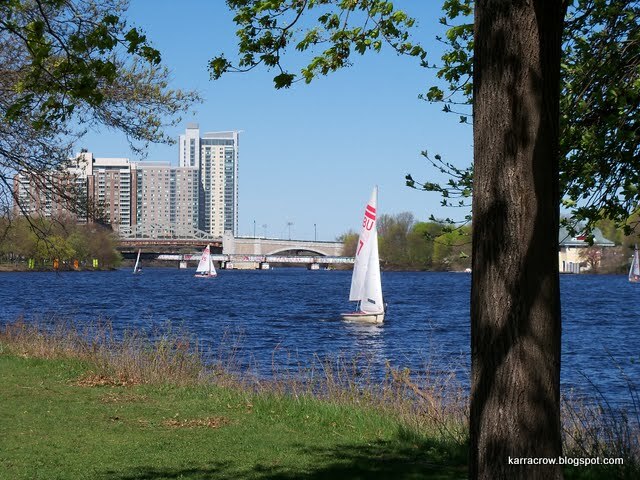 May 1st, through some strange coincidence, happened to be one of the first truly gorgeous spring/summer days here in Boston — and we took photos to prove it! are finally starting to fill out along bare branches. 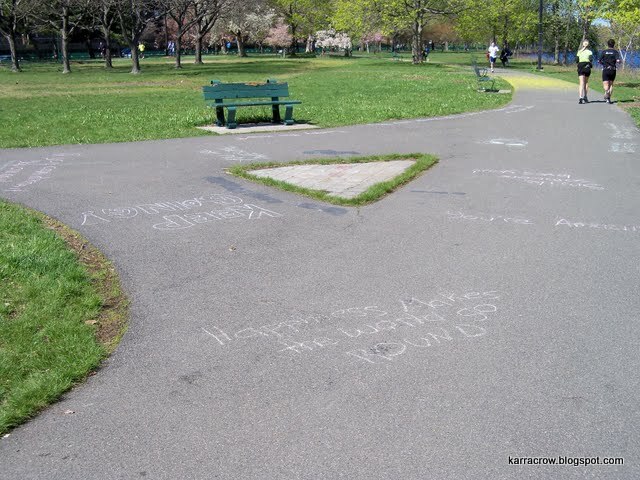 had been busy with chalk writing encouragements on the pavement. 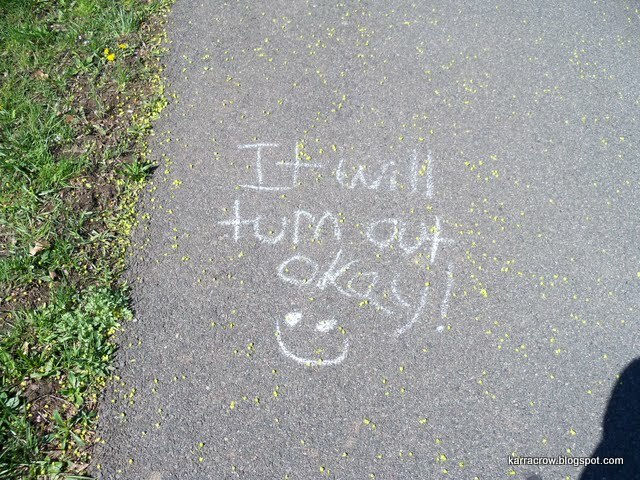 Encouragements like this — charming in their artlessness. “<– DUCK. 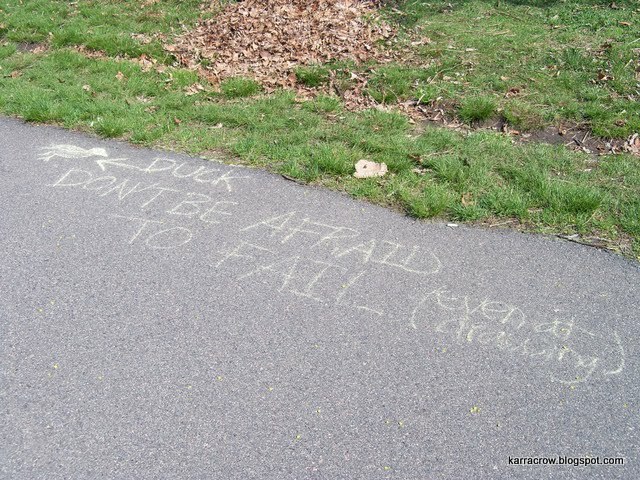 Don't be afraid to fail (even at drawing)"
All of which reminded me of T.J Thyne’s little gem of a film, which really should be broadcast on a weekly (daily? hourly?) basis across all forms of media worldwide. Possibly then there wouldn’t be so many people doing stupid things which make us sad. It’s 16:24 and I swear it’s worth it. Make time in your day. You’ll thank us. We hope to see you again next week for our regularly scheduled programming.